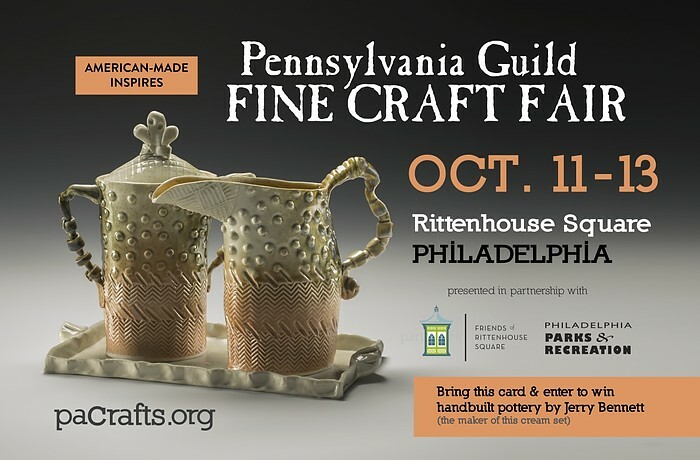 Next Friday, Saturday and Sunday (October 11-13), I will be exhibiting at the PA Guild of Craftsmen Fine Craft Show on Rittenhouse Square in Center City Philadelphia. Come view my work and that of 140 talented artists. Hours are 11 am to sunset. You can find me in booth #108, on Rittenhouse Square South and 18th Street. Let's hope for crisp Fall weather.